The crux or impulse for writing this novel was an obscured historical record & betrayal. In his (unusual) note to readers at the close of his book, Graham shows that he was compelled by the very obscurity and enigmatic nature of the records which did nonetheless reveal their story to the thinking or candid mind; and that aim is what was lost. What he got was protests over his reporting the sordid, unheroic and treacherous desperate nature of what happened disguised as objections to his literal departures from history. I finished Groves of Eagles. I knew my blog written (see Graham’s other historical fiction &c) when I was more than half-way through lacked the necessary knowledge to be able to give a sense of the full shape of the book. Now I realize the ending (to be expected) throws a perspective on the whole book. In this instance it also gives the key to why the author wrote it, why (as Graham clearly planned), he didn’t go on with another. The ending also crystalized some central themes, linking it up with The Forgotten Story on the one hand (Cornwall, 1898, based on a newsprint shipwreck story) and the Poldark novels on the other (1783-1820, Cornwall but also by the time he’s done Paris, Belgium, and Portugal). And finally we learn who the hero’s mother was and that the true heroine of the book is the hero’s long-suffering step-mother, the effectively abject endlessly pregnant and sexually betrayed Dorothy Killigrew. The book closes with the result of Graham’s character John Killigrew’s betrayal of his trust as the keeper of Pendennis castle: in desperate straits financially, Killigrew in the book accepted bribes from the Spanish to allow them to land; as in the previous Armada, the ships were far too unwieldly to make it through the Channel in storms, and fail to land and invade; they are further hindered by English ships coming back from the West Indies and the Atlantic where they had gone to plunder and invade others. 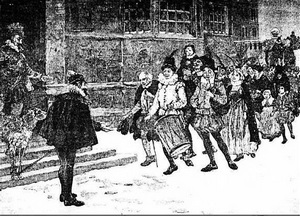 He is taken before the Queen’s Council, and while not found guilty for sure, is imprisoned (more discreetly) as a debtor When the father has his “trial,” Elizabeth I (who appears) and her counselors appear to believe the man was not treacherous, but the next day he is hauled off to jail for debt and there does not seem any way of freeing him. The jail is a place where people sicken and die. His son, our narrator-hero, Maughan, goes home to find his father’s house being emptied out by debtors, his stepmother giving birth again, helped once again by the physician-witch Katherine Footmarker; soldiers with an new Captain in charge of Pendennis Castle; debt collectors taking charge of everything else in sight. Maughan proceeds to eject everyone he can. Maughan has to make a much compromised way out for himself and do what he can to salvage his stepmother’s fate by accepting what he regards as bleak choices, which includes marriage to the female protagonist I had thought (but no longer do) was to be the main and idealized heroine, Sue, at the price (what she demands) of accepting a place from Henry Howard whom Maughan dislikes, and distrusts. Sue is no Demelza. That this betrayal and the way it was treated in court and the historical record was central to the impulse to write his book (and perhaps a series of books set in Cornwall during the Renaissance) is revealed in Graham’s final note “to Purists” whose irritation I now understand. The purpose of the Note is to tell the readers that the story of the actual historical John Killigrew is close to that told of the fictional one in the book and was found by Graham in local Cornish and London records. So too that of his historically real “base” son, Maughan, who was also captured, kidnapped, imprisoned in Spain and then attached to the Spanish court. It may be that Graham took liberties (as all historical fiction writers must do), but the main thrust and most of the details of the lives of these Killigrews and Ralegh (including the climactic court case) remains close to the historical truth. It seems that Graham was attacked by his readership on the grounds that he had not stayed true to literal history and pickayune fusses were made of places where he departed. From the way Graham writes it seems that he does not realize these attacks are stalking horses for the real objection: the readers did not like his exposure of the realities of betrayal by these English heroes; they didn’t like his unheroic treatment of war at sea (the senseless raid on Cadiz if what was wanted was any wealth or control) as a mess, awful, pointless much of it. And ironically (showing his distance from this pop readership) what attracted Graham was that the central core of Killigrew’s story remained implicit, the reality that what goes down onto the historical record is half-lies, delusions (as Ralegh’s tales of what he founds in Guiana which in the book are suggestively rightly undercut). There are a number of eye-witness reports of the raid on Cadiz, most famous, no doubt, Ralegh’s own. But in the main I have relied on an unpublished manuscript in the Lambeth Palace Library, probably written by someone on Ralegh’s flagship; and it is on this manuscript that I have depended for the account of Ralegh’s adventure the night before the battle — an adventure which, at least in detail, seems to have escaped his numerous biographers-and also for the story of the loss of the Peter of Anchusen. 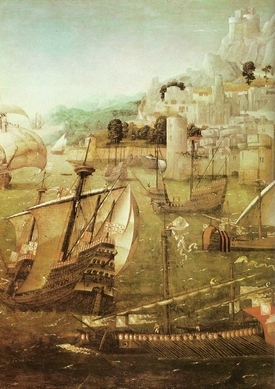 The treasure fleet at Cadiz was in fact not burned until twenty-four hours later than stated in this book. The extent to which John Killigrew became committed to the Spanish cause is perhaps arguable, but the evidence which exists does seem to me conclusive. 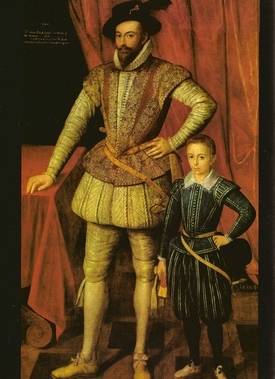 Not only Facy’s report on William Love’s statement, mentioned in the novel, but many other reports of a like nature which filtered in at the end of 1597 and continued to do so through much of the following year. William Astell’s testimony, February 22, 1598, was that it was rumoured at the Groyne (Coruna) that John Killigrew had been executed for treason. 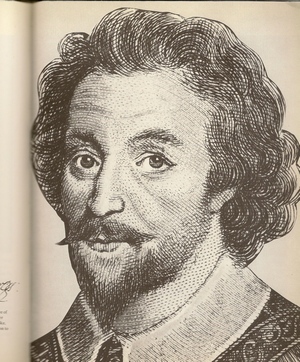 Peter ScobIe reported May 5, 1598, that while a prisoner of the Spaniards he was constantly questioned as to whether John Killigrew had been put to death or was in prison. But the conclusive testimony comes from the Spanish side-hints and references in various letters-and perhaps most of all in the order issued by the Adelantado that those at Falmouth were to be well used during the landing, all others put to the sword. This is one of many passages which suggest the book actually is supposed to be a story retold from a mid-17th century perspective that Graham meant to write his Elizabeth chronicles up to. Maughan remembers how this stepmother did all she could for him, was of “noble soul,” ever kind (if quietly so), and tells us he saved this letter ever after. And it’s revealed Katherine Footmarker was indeed Maughan’s mother. Of genteel but lower origins than suited John’s father and without money, the marriage was forbid and it was though she died. But she turned up in Cornwall. Again with no explanation we see that though once John Killigrew loved her and treated her son well, he had learned to hate her for standing for what he had lacked (the courage to marry her) and in the end did him in (his desire for pomp, luxury, the world’s admiration, power). Katherine Footmarker saved her son a number of times, taught him medicine — Maughan has a Dwight Enys side. The book has a sort of surprise final conclusion in its very last pages, one which we don’t foresee but when it comes seems what was to be expected. What else could Maughan do now?. Maughan marries Sue but in an atmosphere of intense disillusion, bleakness, dissrust. 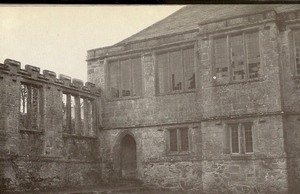 As with Clowance finding out that Stephen Carrington had been such an egregious liar, their marriage was even bigamous ((Poldark Twisted Sword), so Maughan discovers that Sue knowing he was alive went ahead with her marriage to the older man who now dead has provided them with far more money than she admits — we see this in the house they move into. She insists he break with Ralegh and his old Cornish familial connections as the price of her body (in effect). He could hold on, but he sees how tenuous is Ralegh’s hold, if not the place as a servant to Ralegh’s wife that he was offered. Does he want to stay in Cornwall? how ambitious is he? Enough. He also decides to leave apparently to escape the tragedy of his father and step-mother’s home. It’s taken over by a new daughter-in-law, calculating hard. I had thought Sue in type like Graham’s Elizabeth Chynoweth, but I’m wrong there; she’s a character in her own right, keenly ambitious and amoral and not likely to tell Maughan the truth when it doesn’t suit her. At first Sue seemed merely prudent or cautious in the manner of say Graham’s Clowance, but her determination to make Maughn work for a man he distrusts and despises (Howard, and we have seen with cause — Howard threatens Maughan with his reversion to Catholicism to avoid torture, starvation, execution by burning); Sue’s willingness to use a threat of marriage to another man rather than Maughn rather reminds me of Elizabeth (see especially Part 5, Ch 8, pp 452-54). Sue thinks she is going to get more power, money, prestige, and forgets the full bargain is Arundell will end up owning her and she becomes subject to him as happened in the Warleggan-Elizabeth marriage. But she is also Rowella (Four Swans) ruthless sexually too. There are moments at the close where Maughan reminded me of John Ridd in Lorna Doone. This bleakness of the wedding ceremony for Maughan is replicated in his having taken the position with the Howards that Sue demanded Paradoxically it does seem she is right: he must sever himself from Ralegh if advancement is his aim. The Howards are going up and in history (Graham points this out in his historical note) the Howard who hires Maughan was part of the party of Britishers who rode to Scotland to invite James VI of Scotland to become James I. Ralegh is in the Queen’s favor as the book ends, but we have seen enough to know it won’t last; he can’t resist participating in deluded slaughters (another has just occurred over near the West Indies with nothing gained again). But Maughan is uncomfortable with these treacherous types around Howard, and alas, I do see this Howard is presented as homosexual and Graham makes this a real count against him. This bigotry of Graham’s would hurt him much today among an intelligent readership. This kind of ambiguous ending is typical of the Poldark books only then we usually have an uplift of a final scene of acceptance between Ross and Demelza so it’s not so bleak except in Black Moon. There is no such scene here. The father is dying probably (he did in history). From the last sentence of the book it does seem as if Graham wanted to carry on with this book as another in a cycle, but perhaps its reception deterred him. As I say, he seems unaware the complaints couched as objections to his historicity are really aimed at his undermining the ‘glorious’ view of history perhaps common to historical novels. The one battle we do experience is mess of death, chance, destruction, misery (the attack on Spain which succeeds only like many war attacks gets nothing). They do it because it’s there said Philip Sidney then. Not that Maughan is blamed for turning himself to participate in the conspiracy or his Catholicism — though he feels intense remorse upon remembering how he turned his mother out in the last pages of the book and was insufficiently active on Dorothy’s behalf. He abjured as soon as he could, but we see he is going down the road to compromise and corruption once again, led partly by his sexual appetite and desire to have a woman, a home, someone to cling to. 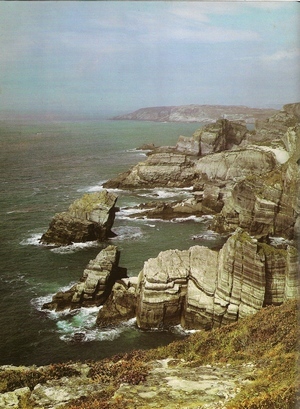 The book is more like the first type of fiction he defined as the types he defined in his Poldark’s Cornwall: where historically real people are central. Books 1-7 of the Poldarks are all fictional people within a real setting; Books 8-12 have real people appear but not central. Graham’s historical fiction is as relevant today as it was at the close of WW2 when he first turned to the genre. When Maughan is imprisoned, he is for a long time put in solitary confinement. We see him go more than mad, deteriorate, nearly die. It has now for the first time reached public consciousness how cruel these ordinary (yes) procedures in US prisons are. Like his dramatization of disability in the Poldarks, Graham presentation of imprisonment, captivity afterwards and why people betray others is ahead of his time.